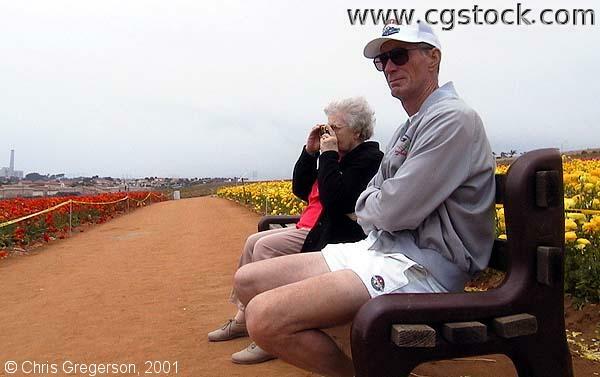 This was taken at the Flower Fields of Carlsbad. My Grandmother, Alice, is taking her own picture. My Mom's husband, Paul, is on the right. We drove here from Palm Desert just before they closed for the season.